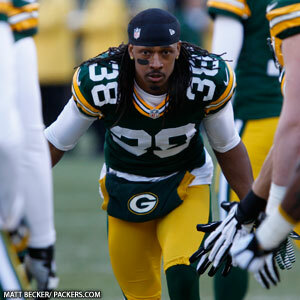 Packers CB Tramon Williams, who missed Thursday’s practice due to illness, is listed as probable on the injury report for Saturday night’s game. Of the four Packers pass-catchers on the injury report, only WR Jarrett Boykin (ankle) is out. WR Randall Cobb, WR Jordy Nelson and TE Jermichael Finley are all probable. Also listed as probable are RB Alex Green, CB Davon House and DB Charles Woodson. RB James Starks (knee) is listed as questionable, while DE Jerel Worthy (knee) is out. Worthy’s injury is season-ending. The Vikings are listing two starters as questionable — QB Christian Ponder (elbow) and CB Antoine Winfield (hand). Ponder developed a sore elbow following a hit from Packers S Morgan Burnett on a blitz last Sunday but finished the game without incident. Winfield tried to play with a soft cast on his broken hand but removed himself from the game by halftime. The only player the Vikings have ruled out is backup LB Tyrone McKenzie (shoulder). The other eight Vikings on the injury report — including starters DE Jared Allen, DE Brian Robison, S Harrison Smith and RB Adrian Peterson — are all probable.